For 13 weeks, 10 companies from around the world participated in the first-ever Comcast NBCUniversal LIFT Labs Accelerator, powered by Techstars. While they learned from our experts, and a vast, seasoned mentor network, they taught our team a few key lessons, too. This summer, the Comcast NBCUniversal LIFT Labs team ran our first-ever startup accelerator in partnership with Techstars. Together, we helped 10 companies connect with top executives for mentorship, training, and the opportunity to test their products. We facilitated 450 demo meetings and helped the companies land dozens of pilots or proofs of concept. We provided resources for them to shape their business models and pitches, and offered valuable media training, and one-of-a-kind experiences. The startups walked away with valuable important corporate partnerships, advice from some of the most renowned leaders in media, entertainment and connectivity, and sharpened business models. It’s safe to say they learned a lot. Teams Make the Vibe. Whittling down our list of applicants with Techstars from hundreds to the final 10 was tough. Really tough. In the end, we had a class of incredibly talented, diverse entrepreneurs with promising technologies. But we quickly learned that this was a really wonderful group of people. Together, they had family dinners, played ping-pong, had off-site outings, and worked around the clock lifting each other along the way. Despite the constant grind, people laughed a lot and supported one another. It was truly inspiring. Not only did we develop new partners, we made plenty of new friends. Focus Makes Progress. Days were packed with meetings, pitch practices, media trainings, events — and, oh, yeah, founders had to actually run their businesses at the same time. They often worked well into the night and sometimes even napped in the common area. The environment (and the great views of the city) make a difference and we were happy to provide the teams with a temporary, comfortable home away from home on our campus in Philadelphia. We learned that friendly encouragement + water ice, soft pretzels, and a warm, sunny spot to recharge goes a long way. Their hard work and dedication certainly paid off: Seven of the 10 companies signed partnerships with business units, including Comcast Business, Universal Parks and Resorts, Spectra Venue Management, DreamWorks, among others. All focused their business models, expanded their contact networks, and are poised to have a strong trajectory. Mentors Make All the Difference. Startup founders need frank feedback and connections. During the accelerator, more than 50 Comcast NBCUniversal executives provided that, plus 75 more from the Techstars network. The mentors are busy people with full schedules, and we asked them to spend extra time outside their day jobs helping the accelerator companies. Would they actually devote their time and energy to these entrepreneurs? The answer was a resounding “yes.” In fact, they were inspired by what our entrepreneurs were building and excited to be involved. We couldn’t be happier with our mentors and their dedication to the companies’ success. Storytelling Is at the Root of Startup Success. From their initial pitches at selection day to Demo Day on October 11, we were constantly reminded how much a startup’s story matters to their success. Our team leaned in on this and helped the companies create digital advertising, blog posts, product videos, and even created a fun docuseries IDEAS ELEVATED about the class that will be coming out soon. We prepped them for demo day pitches, exposed them to top experts in media training and even gave each a chance to pitch to producers at NBC Nightly News, TODAY show, CNBC, and continue to help them pitch their stories to reporters in their technical verticals. Philadelphia Makes the Experience. We love our hometown and know it’s a place with a very special startup history, and current day community. That’s why we showed the entrepreneurs around the city. From a Philadelphia Phillies game to karaoke to taking in the rooftop views at Bok Bar — we made sure Philly left a lasting impression on the group. We want entrepreneurs to love this city, too, and we’re happy that at least three of the companies will maintain a presence here. Others created long-lasting business partnerships that will keep them coming to town frequently in the coming months and years. Since the 2018 accelerator program ended, the LIFT Labs space is just a little quieter and we’ve moved on to new projects including workshops, author series, and community-led events. And we’re readying for the launch of applications, for next year’s class, beginning in January. 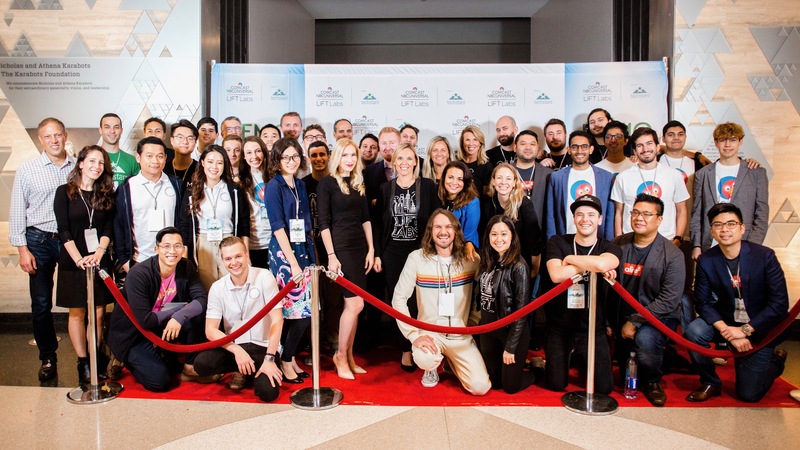 We certainly miss the founders and their teams who embarked on this journey with us, and made the first-ever Comcast NBCUniversal LIFT Labs Accelerator, powered by Techstars an inspiring, enriched experience that we’ll never forget.